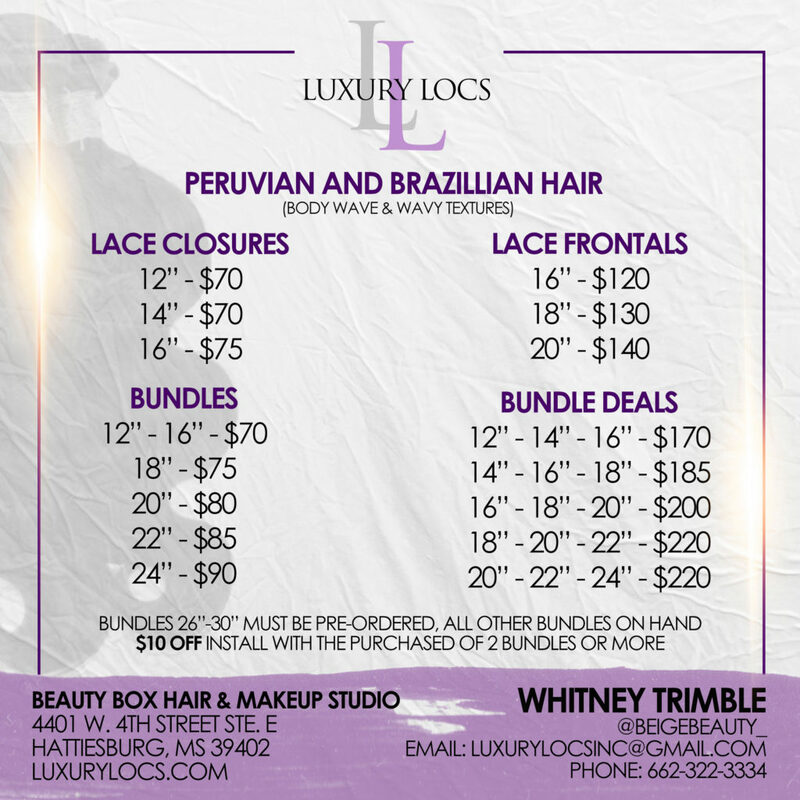 About Us – Luxury Locs Inc. 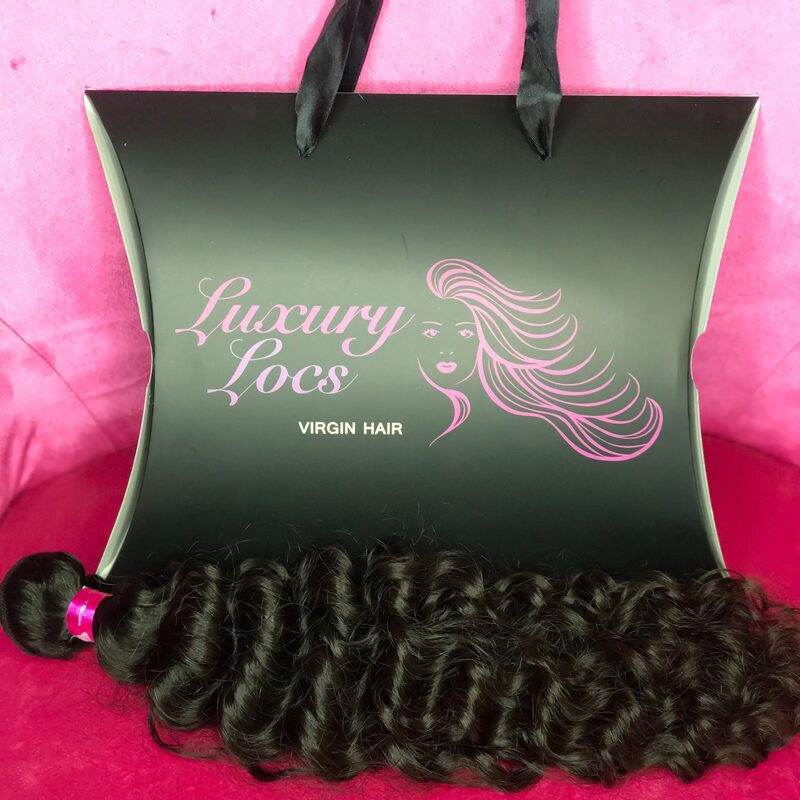 Luxury Locs Incorporated was established in 2016 for the purpose of providing luxury extensions at an affordable price for everyone. Soft, manageable, and long-lasting, these extensions are one of a kind. 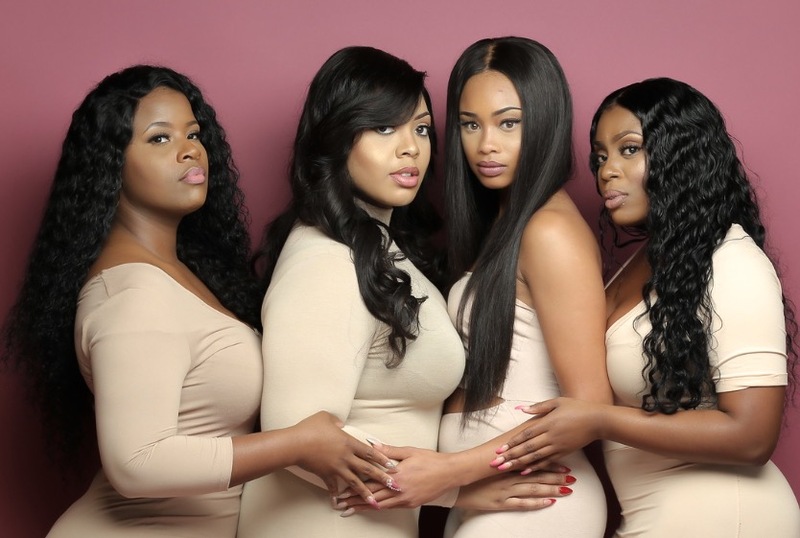 This hair collection consists of 100% Brazilian and Peruvian textures that include body wave, deep wave, loose deep, and straight patterns. Luxury Locs are guaranteed to last and make you feel fabulous and luxurious no matter the texture or pattern. Installs range from $90-$200. These installs include traditional, full, vixen, 2-part, 3-part, closures and frontal installs.